So I thought I would repost links to these recipes in case you are in need of some memorial day cookout inspiration. Caprese on a stick is my favorite summer salad with a whole new take. I know I often get in a Caprese salad plate funk. My orzo salad changes depending on my pantry, this time I added some artichoke hearts, fresh basil, salami, sundried tomatoes and also some Feta cheese. 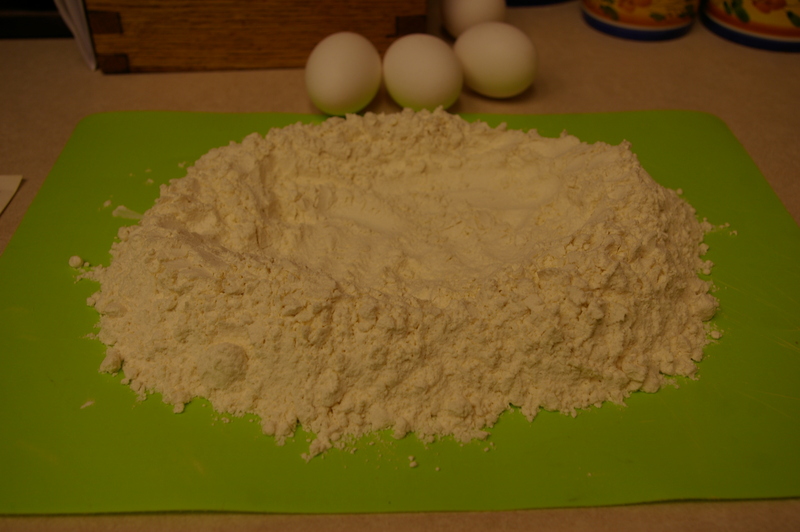 The key to this recipe is that you can utilize whatever you have on hand (everytime I make this I have old mother hubbard’s pantry and fridge, yet I find some treasures in there) and it is quick and easy. Sometimes cleaning out your pantry is a good thing! Orzo is so tasty and can be substituted in your favorite salad or soup. I also made homemade peanut butter cookies with hershey kisses in the middle to go with my savory feast, and yes my daughter had to twist my arm to talk me into making the cookies… ok not really. Have a great long weekend everyone! I have been meaning to post this recipe for some time. 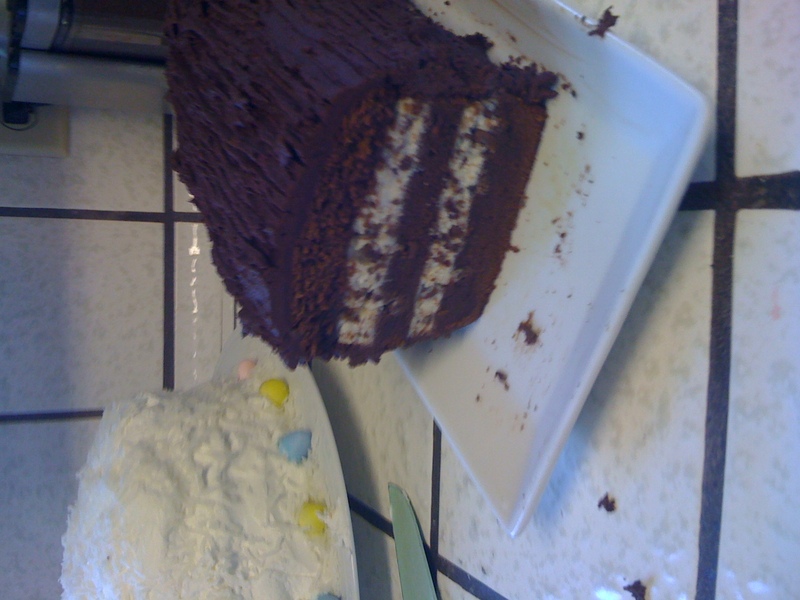 I made the most pretty and delicious cake for a lovely Easter dinner we had with MER and Adam this year. 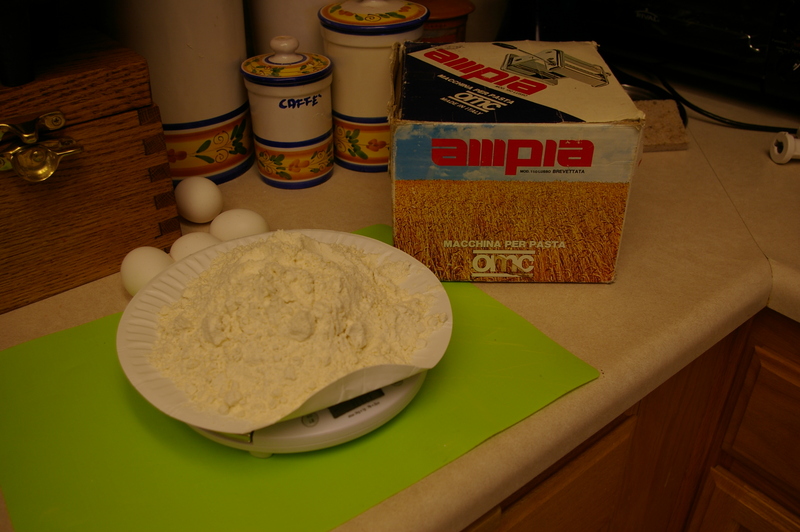 It was from a King Arthur Flour email newsletter I got with Italian Easter Traditions. I would have to say it is probably one of the hardest things I have made, because of all of the steps and the time, but well worth it for a special occasion and its taste alone! 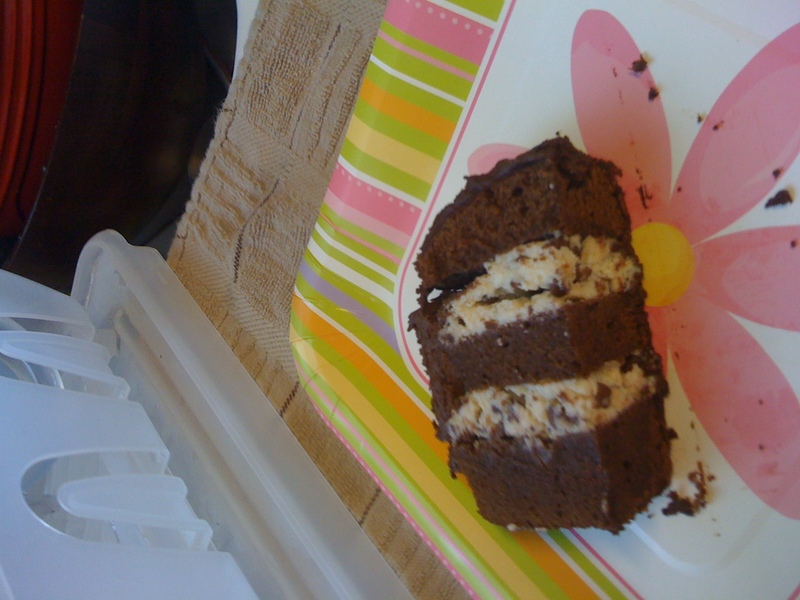 It is called a Chocolate Cassata and it is a recreation of the traditional Sicilian cake made for special occasions. It came out so beautifully when it was sliced for serving. By the way, Buona Pasquale means happy Easter in Italian, so you can say it a new way and sound really cool now! I would say next time I would cook the cake a few mins less and use all of the simple syrup to help it be more moist. Everyone loved it, I am just picky about my own creations and I thought it was a tad dry. It was a very rich cake and it tasted amazing so it was the perfect end to our delicious meal along with the yummy coconut cake Cindy made. If you are feeling bold and want to knock your guests socks off with your impressive skills and knowledge of Italian desserts then check out the amazing recipe! I love Sunset magazine. Once I picked it up at my MIL’s I was hooked, with the cool travel spots and the great healthy but yummy recipes, it is a quick and easy read. I often cut out their recipes for my collection. But my large hoarder-esque collection of recipes rarely gets used. Sometimes I tuck a recipe into my purse so I can get the ingredients if I feel inspired at the store. 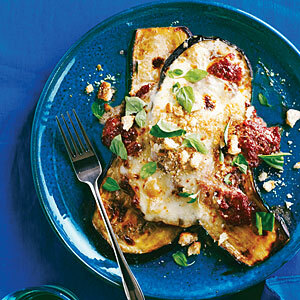 I was excited to see some gigantic eggplant at the commissary so I was stoked to use a recipe I had been carrying around for a while, Healthy Comfort Food – Eggplant Parmesan. 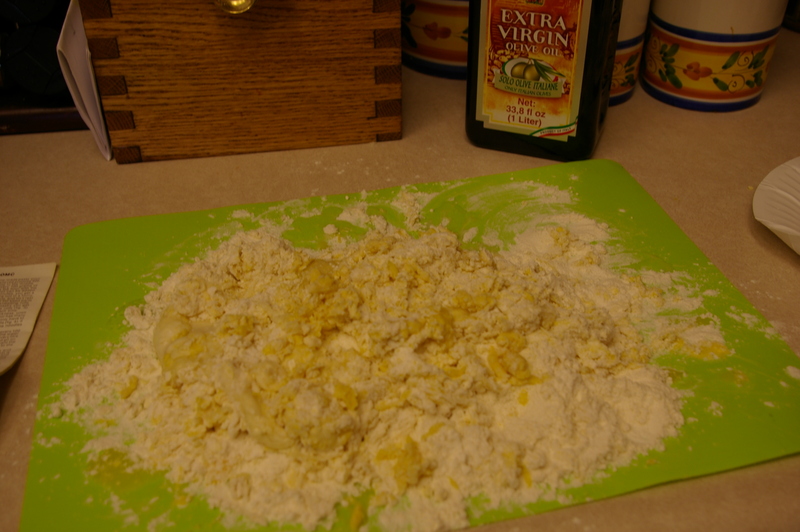 This recipe is so simple and tasty. I think the Cabernet Sauvignon wine and the red pepper flakes really make the sauce have a unique taste and little zing to it. Don’t get me wrong, my mom’s family eggplant parmesan recipe, with the round little breadcrumb covered slices in casserole form, is delish, but it was nice to try a fresh approach. Even my Italian Mama loved this dish. 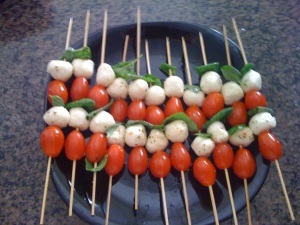 It has such a pretty presentation with the fresh mozarella ball slices and basil leaves. 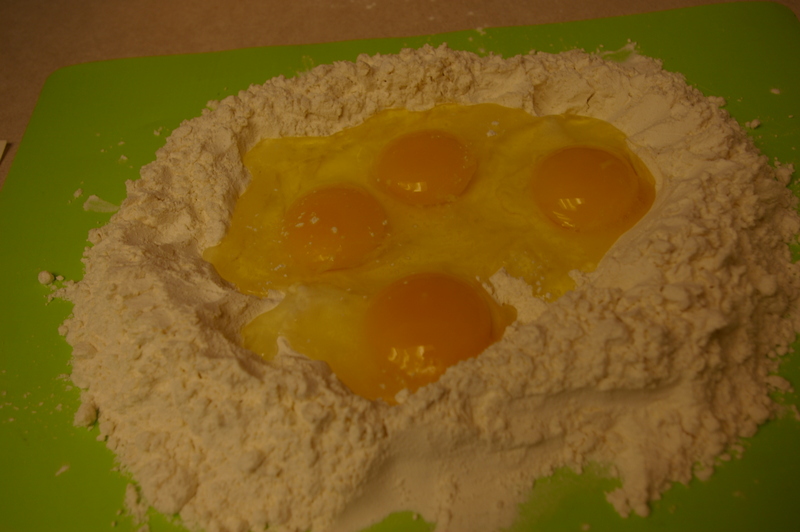 I opted to make 4 stacks in a big glass dish rather than four separate plates, but that would work too. So if you want to try a comforting dish with a new twist check out Sunset Magazine’s modern take… Oh and excuse the magazine stock photo, we scarfed all of ours down before I could take a pic! 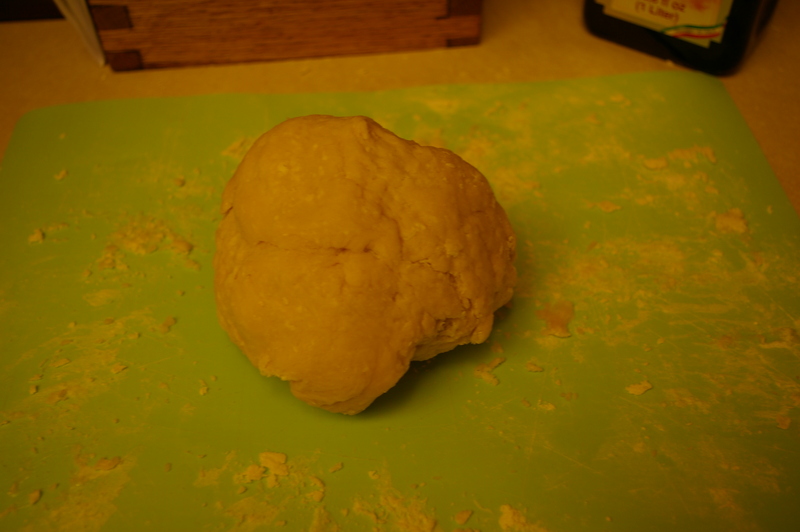 eventually if you keep kneading it, it will form into a hard ball. 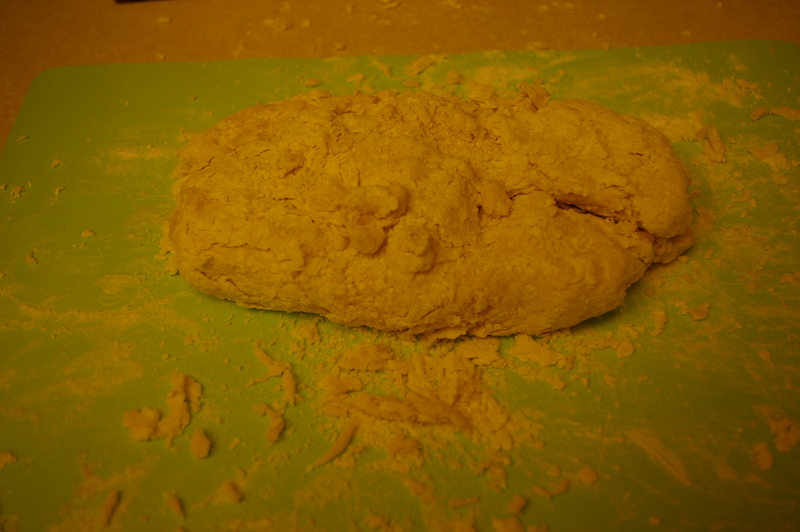 at this point I let the dough rest for 30 mins in plastic wrap. You will notice it has softened when you go to use it, that is good. 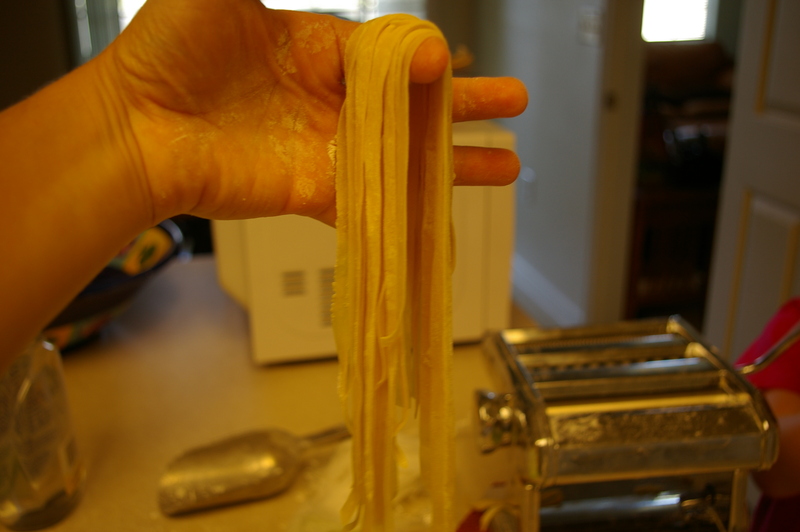 then I rolled it through the cutting portion of my pasta machine, you can make angel hair or fettuccine. 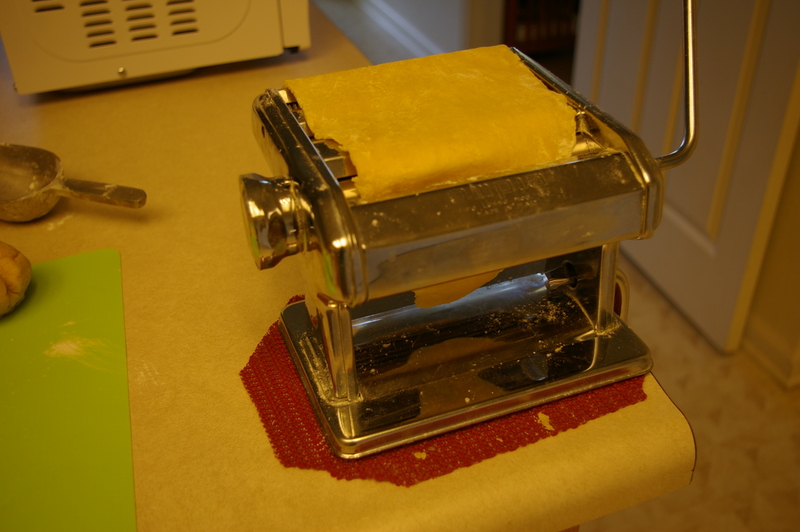 If you don’t have a pasta machine you could roll it thin by hand and also cut it by hand, to make a tagliatelle, a wide ribbon pasta that is hand cut. 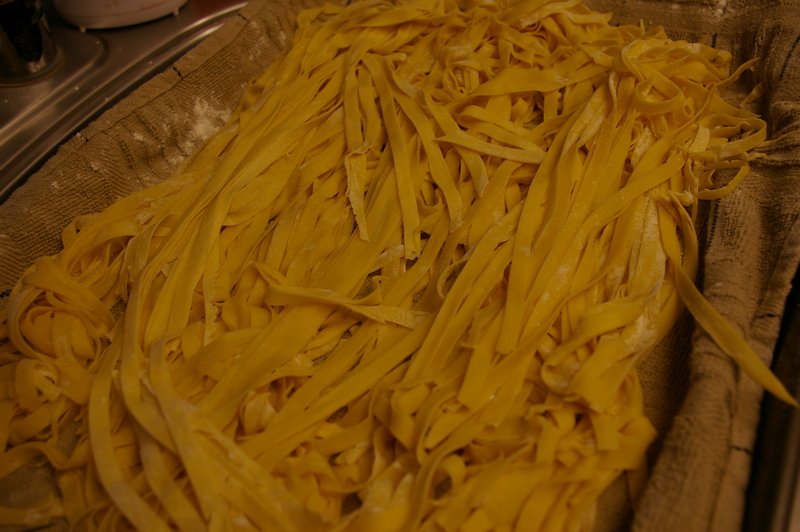 look at all the beautiful pasta I made! it made almost a pound. It was so delicious, you could just taste how fresh it was. I made Carbonara from Diners Drive ins and Dives, I will have to post that recipe later! Oh Oh Oh Oh Oh, O O-reo, What’s in the middle? The White Stuff! 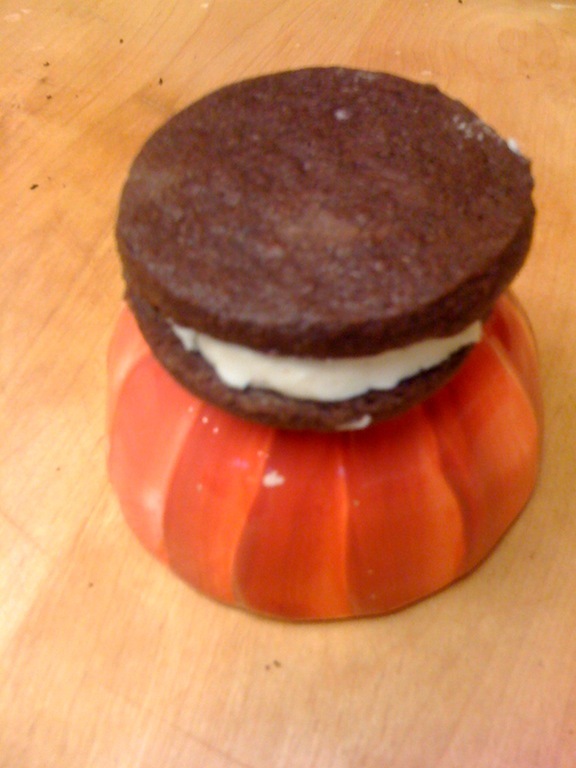 This is what I made tonight, food network’s homemade oreos. It only took my mom 20 mins to show up at my door after I posted I was making them and she wasn’t disappointed. OMG people you have to make these! The filling tastes just like real oreo filling, it even has the same texture, except you make it with only 4 ingredients and you can pronounce all four, so it is so much better for you! I think this is the best thing I have ever baked. The cookies cooked faster than I expected, so they probably only needed 15-17 mins not 20. The cookies had the crisp of a typical Oreo but also had a soft chewy center. 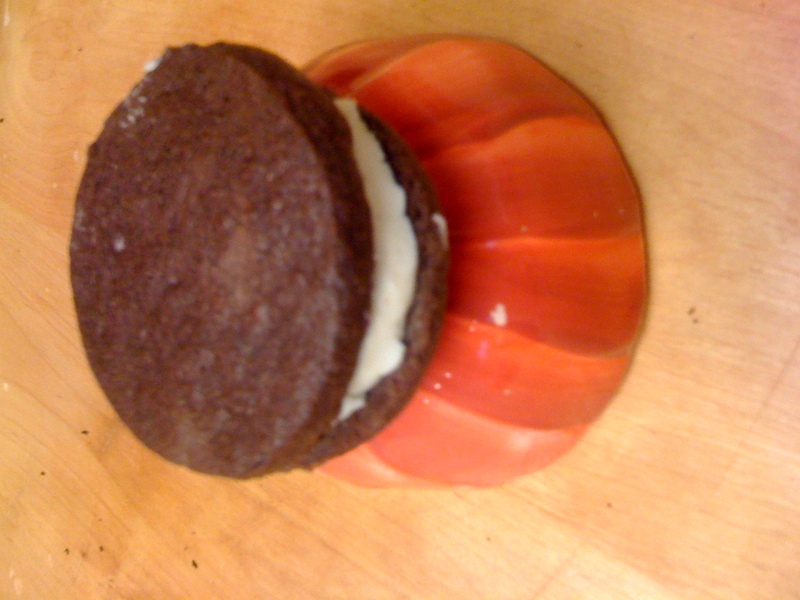 Plus mine were a bit bigger than an Oreo so it was sort of like a giant dream come true version. I know people say nothing can replace the real thing but to me this tasted so much better and I prefer making stuff from scratch. 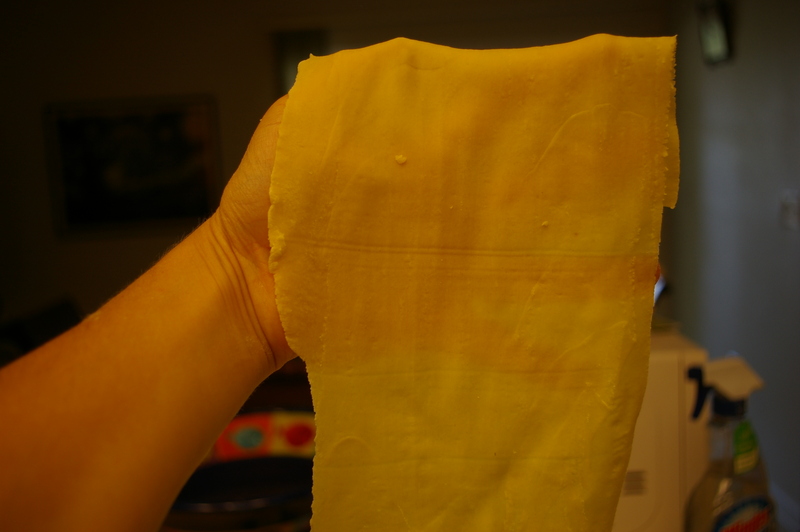 You are currently browsing the What Tara's Cookin' blog archives for May, 2011.